Since its creation in 1887, Terrena has worked in the interests of its farming members. Today, over 29,000 farmers and 15,800 employees make up our cooperative, which is known for its values and economic credibility. 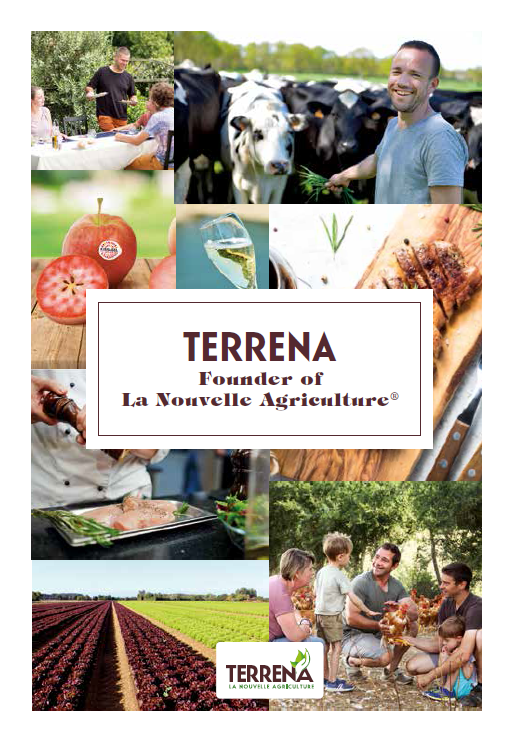 With its pioneering launch in 2008 of Ecologically-Intensive Farming (Agriculture Écologiquement Intensive®), Terrena is now going full speed ahead, deploying Nouvelle Agriculture® across all its sectors and productions. Innovation, partnerships, driving change and developing internationally, these are the key phrases of this long-term strategy, serving as much the vital and economic interests of the consumer as the farmer. With one simple, specific objective: from the field to the plate, we guarantee products have irreproachable nutritional and gustatory qualities, contributing to the preservation of good health for each and every one of us.